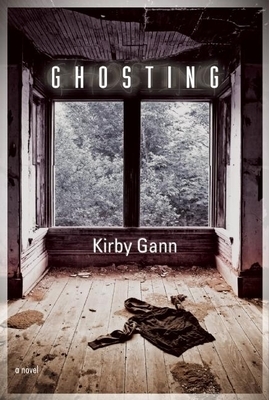 A dying drug kingpin enslaved to the memory of his dead wife; a young woman torn between a promising future and the hardscrabble world she grew up in; a mother willing to do anything to fuel her addiction to pills; and her youngest son, searching for the truth behind his older brother's disappearance, are just some of the unforgettable characters that populate Ghosting, Kirby Gann's lush and lyrical novel of family and community, and the ties that can both bond and betray. Fleece Skaggs has disappeared, along with drug dealer Lawrence Gruel's reefer harvest. Deciding that the best way to discover what happened to his older brother is to take his place as a drug runner for Gruel, James Cole plunges into a dark underworld of drugs, violence, and long hidden family secrets, where discovering what happened to his brother could cost him his life. A genre-subverting literary mystery told from the alternating viewpoint of different characters, Ghosting is both a simple quest for the truth--what exactly happened to Fleece Skaggs?--and a complex consideration of human frailty. Kirby Gann is the author of the novels The Barbarian Parade (Hill Street Press, 2004) and Our Napoleon in Rags (Ig Publishing, April 2005). He is also co-editor (with poet Kristin Herbert) of the anthology A Fine Excess: Contemporary Literature at Play, which was a finalist for the ForeWord Magazine Book of the Year Award (Anthologies). His short fiction has appeared in Witness and The Best of Witness, The Crescent Review, American Writing, The Louisville Review, The Southeast Review, and The Southern Indiana Review, among other journals. He is the recipient of an Individual Artist Fellowship and two Professional Assistance Awards from the Kentucky Arts Council, and an Honorable Mention in The Pushcart Prize Anthology. Gann is Managing Editor at Sarabande Books, and teaches in the brief-residency MFA in Writing Program at Spalding University.